LIC Policy Revival Quotation and Late Fee Calculator can help you to get the amount required to revive your LIC policy or calculate the late fee required, in case you missed the due date of your policy. Insurance policies are intended to protect you and your dear ones at difficult times. A policy lapses when premium is not paid even after the grace period. Generally the grace period is thirty days from the first unpaid premium. A lapsed policy generally ceases to get the insurance coverage. Policy can be brought back to live condition by paying the premium along with the interest. But if the policy remains lapsed for more than six months from the due date, it has to be revived. Revival requires submission of Declaration of Good Health (DGH) along with premium and interest. A lapsed policy will not help the unfortunate family to tide over the difficult situation. Hence all efforts should be taken to see that all your insurance policies are fully in force all the time. 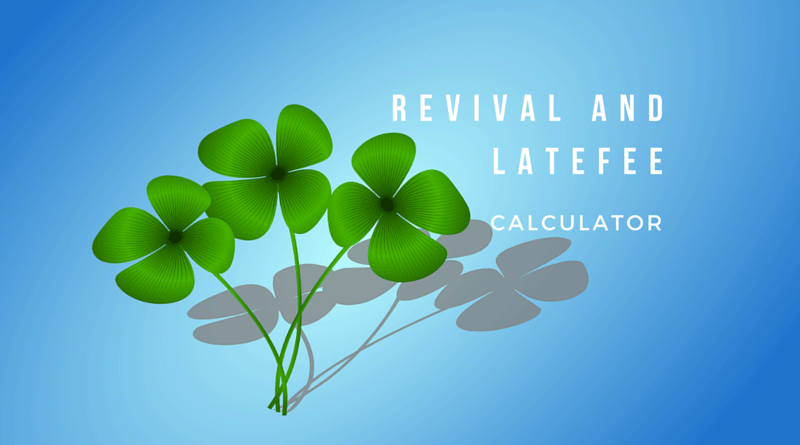 Revival Date: Date on which you would like to revive the policy. Due date: First unpaid premium of your policy. Premium: Premium paid for one instalment of the policy. No need to know or reveal the Policy Number. Revival quotation can be obtained 24 X 7 or even in holidays. Late fee also can be calculated using the same software. Print out of the revival quotation can be taken. No need to submit your personal details to get quotation. Calculation is fast and instant. On line and Offline premium payment methods of LIC.